The board recognized Vice President JJ Ehlers for her four years of service and Petra Butler for her two years of service. At the request of the board, Superintendent Jill Gildea is working on leadership transition and the district’s organization structure. Working within current budgetary parameters, as well as full-time equivalents, she will make recommendations as part of budget development process. The district will use a search firm to help identify qualified finalists for Cabinet-level positions. Chris Guarino with NV5, the district’s owner representative for master planning, updated the board on the work of the Steering Committee, Learning Leaders Forums, and the next online community survey. Ongoing updates are posted on the The Future of Learning website. The current community survey is available here. Trailside Elementary Principal Carolyn Synan, a member of the district calendar committee, presented the final two 2019-20 calendar options. A survey of district employees overwhelmingly (73%) selected the Option B calendar because it allows for a longer Winter Break. The board will adopt a 2019-20 calendar at its January meeting and will consider the committee’s Option B at that time. Business Administrator Todd Hauber reviewed the work being done on defining academic fees by a State Board of Education task force. The board will need to look at fees related to special academic projects and programs and establish maximums per fee and an aggregate maximum for total participation; which includes extracurricular fees related to travel, lodging, food, etc. The fee schedule has to be adopted by April 1, so the board will be discussing this issue in the coming months and allow time for public comments. 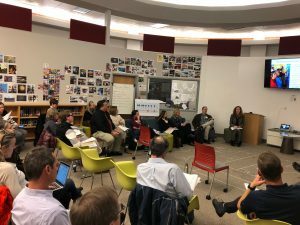 – Parent Shannon Schemmer commended the board on the district calendar options and offered suggestions for future calendars. She also commented on the proposed wellness policy and said she is hesitant to ban options and choices for older students and believes they are capable of making their own choices when it comes to healthy foods. – Parent Christie Worthington said the wellness policy does not allow for students to have choices. While she feels the policy has good intent, she said it is too restrictive. – Parent Laurel Bartmess said the district calendar has too many breaks and she prefers a longer year. She also said, referring to the wellness policy, that food should not be used as an extrinsic reward. 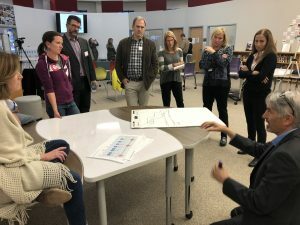 – Janae Ridge, executive director for EATS Park City reiterated research and recommendations with input from community members. EATS hopes the district will shift the culture and eliminate food rewards. 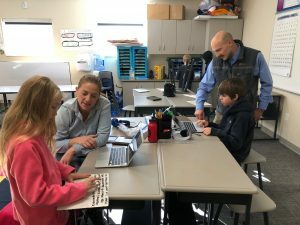 – Parent Kelly Manning believes parents, teachers, and administrators should advocate for students’ health and nutrition needs. She asked the board to consider the elimination of food rewards as a recommendation not policy. – Teacher Melissa Bott shared examples of why it is important to allow food in classes. She said it helps teachers be creative in their teaching and learning experiences. – R.J. Owen, Child Nutrition Services Director, asked the board to respect the work of the committee who revised the wellness policy and vote on the policy as it was originally presented. Owen suggested the wellness committee review the comments from the community that surfaced during the policy posting time period. Saturday, Dec. 15, will be all things robotic at Park City High School as the Robotics Club hosts a Robotics Tournament for teams from Utah, Idaho, Montana, and Wyoming. The event, held in the Main Gym, begins at 11 a.m. with the opening ceremony and matches will begin directly afterward. A lunch break is scheduled from 12:15-1 pm. Matches will resume at 1 and continue until approximately 4:30 p.m. The event is free and open to the public. Parking is available in the east Eccles lot (entry is only through the doors next to the gray mailbox). The public is invited to attend. Park City High has several robotics teams who compete. 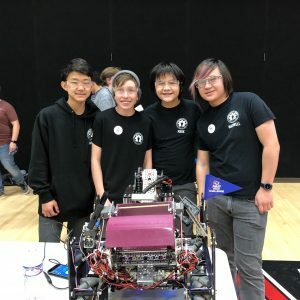 Team Checkmate 12384 was the only PCHS team that competed earlier this month at West High High School in Salt Lake City, placing five times and winning the Innovative Award. The team also competed this month at a tournament held at Carroll College in Helena, Montana. The club meets every Tuesday after school. For more information visit their website. 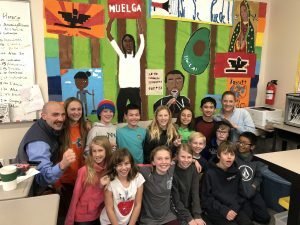 Fifth-grade dual-immersion students in Joe Dvorak’s Spanish class at McPolin Elementary have been studying the human rights and farmworkers’ movements the past few months. As part of their study, they created a class mural. 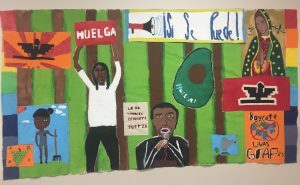 The students painted the mural of Dolores Huerta and Cesar Chavez, American labor leaders and civil rights activists who co-founded of the National Farmworkers Association, which later became the United Farm Workers. Thanks to the generosity of parent volunteer Nikki Keye, the students spent the past month creating the artwork. Keye has an extensive background and degree in art. She visited the class every week teaching the students how to make the various components of the mural. This week, students produced a google drawing with links to videos explaining their contributions to the mural. See the mural and learn more from the students here. Park City School District is celebrating the holidays early this year with the delivery of two new propane school buses. The district is in the process of installing its own tank at the Transportation Department. Propane gas averages $1.41 per gallon, much less expensive than diesel. “We want to be good stewards of taxpayer dollars and the environment,” he said. 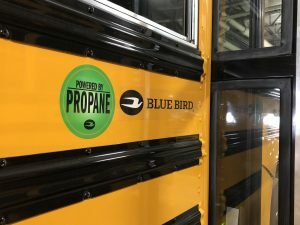 Propane buses are quieter, start in 50 below zero temperatures, heat the cabin quicker, and are one of the industry’s most popular because of their lower cost and safety features, according to Eddington. Buses 32 and 33 are currently assigned to routes that transport students to Trailside Elementary, Ecker Middle, and Treasure Mountain / Park City High Schools. 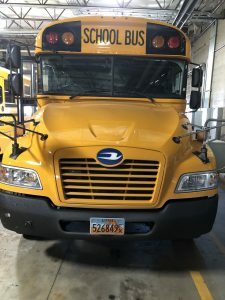 The district is in the process of upgrading and updating its bus fleet, and is applying for state and federal grants to help offset the costs for new alternative fuel buses. Park City High School Athletic and Activities Director Jamie Sheetz will be honored Dec. 18 in San Antonio, Texas, with the 2018 Distinguished Service Award given by the National Interscholastic Athletic Administrators Association (NIAAA). Sheetz is one of 11 athletic directors from across the country who will be honored during the 49th annual National Athletic Directors Conference conducted jointly by the National Federation of State High School Associations (NFHS) and the NIAAA. The Distinguished Service Award is presented annually to individuals from within the NIAAA membership in recognition of their length of service, special accomplishments, and contributions to interscholastic athletics at the local, state and national levels. Sheetz, who has been at PCHS since 2013, oversees 23 athletic programs and nine activity programs. In his five years with the school, PCHS has had 19 student-athletes recognized as academic all-state and 33 teams win state championships. Prior to his involvement with athletic administration five years ago, Sheetz spent 20 years as a baseball coach, instructor, teacher and scout at multiple levels. He coached baseball at Missouri State University, which reached the 2003 College World Series. He recently became the president of the Park City Education Foundation Men4Ed Grant Committee. Through 2017, he was the athletics subcommittee chair of the PCSD Master Planning Steering Committee, PCSD Design Team and Calendar committees, and is a former member of the PCSD Start Times Committee. 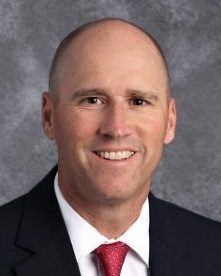 Within the Utah Interscholastic Athletic Administrators Association (UIAAA), Sheetz was president in 2016-17 and is chair of the UIAAA Third Strategic Plan. He helped develop the UIAAA Second Strategic Plan in 2014. He has served as the association’s website manager since 2015 and as the assistant coordinator for the UIAAA Leadership Training Institute (LTI) and Certification since 2016. The Utah High School Activities Association has benefited from Sheetz’s leadership as the UIAAA representative on the UHSAA Realignment Committee (2019-21) and a UIAAA representative/judge for the UHSAA Battle of the Fans. Sheetz, who received the NIAAA State Award of Merit in 2016 and an NFHS Citation in 2017, currently serves on the NIAAA Resolutions Committee and will become its vice chair in 2019. He also is vice chair of LTC 790 and the NIAAA Revision Committee. To date, Sheetz has taken 41 leadership training courses. He is a Certified Interscholastic Coach (CIC) through the NFHS and a Certified Master Athletic Administrator (CMAA) through the NIAAA.